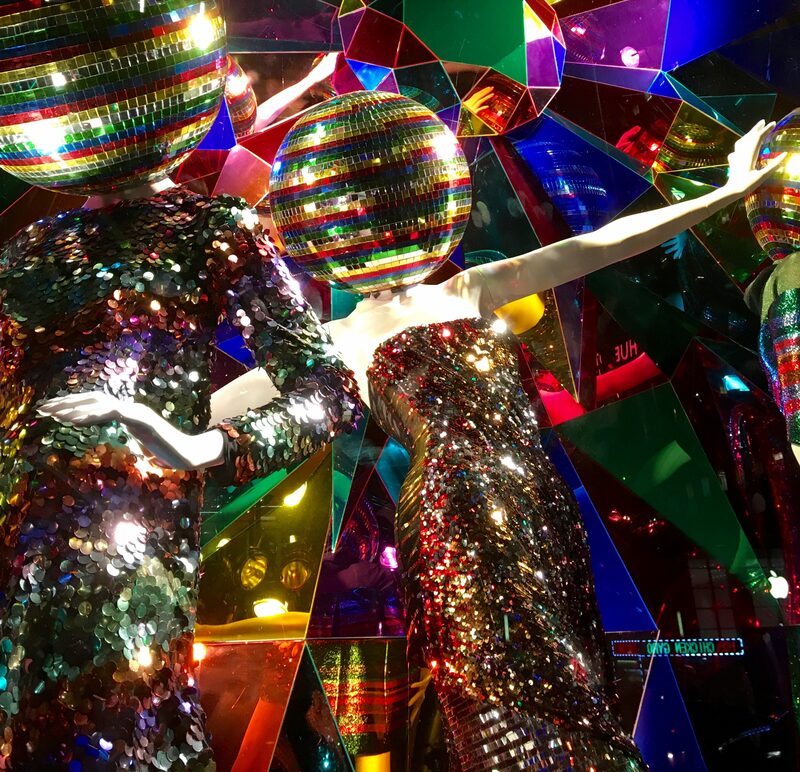 It must have been some kind of cosmic coincidence that, while walking to the train after attending a late night Birthday party for Randy Jones, best known as The Cowboy from ’70s Disco legends The Village People, I passed right by the iconic NYC department store, Bergdorf Goodman, and got a face full of this mind-blowing, disco ball extravaganza window display. 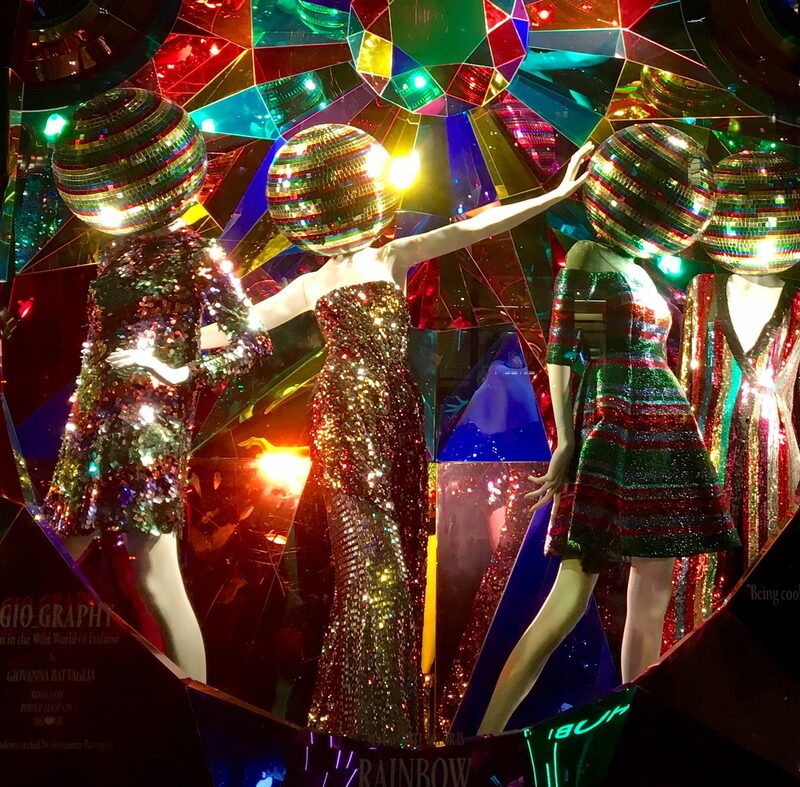 My Favorite Color is Rainbow is just one in series of over-the-top window display tableaus created by W Magazine in honor of Italian fashion editor and stylist Giovanna Battaglia‘s new book Gio_Graphy: Fun in the Wild World of Fashion. The hardcover book is described as, “A witty guide to living the glam the life from an international style star, featuring hilarious anecdotes, fashion advice, and much more. Dubbed a “cyber icon” and “fashion heroine” by the New York Times, Battaglia is known for her colorful street style and fun-loving personality. Her monthly column in W chronicles fashion, art, and adventure. In this, her first book, she has written an irreverent how-to guide for dressing for every occasion, finding fashion inspiration, living stylishly, and having fun while doing it. Heck Yeah! Covering style and beauty for daytime, nighttime, travel, and work, this book is brimming with chic and inspirational wisdom, from how to pull off bold fashion moves like barely-there tops, enormous hats, and powerful reds; advice for how to survive fashion emergencies (like what happens when you show up to an event in the same dress as someone else); and her secrets for donning multiple outfits in a day (bodysuits are key). Also featured are tips and tricks she has learned from fashion-world friends. Filled with humor and style, this is a must-have book for anyone interested in fashion and having a good time. 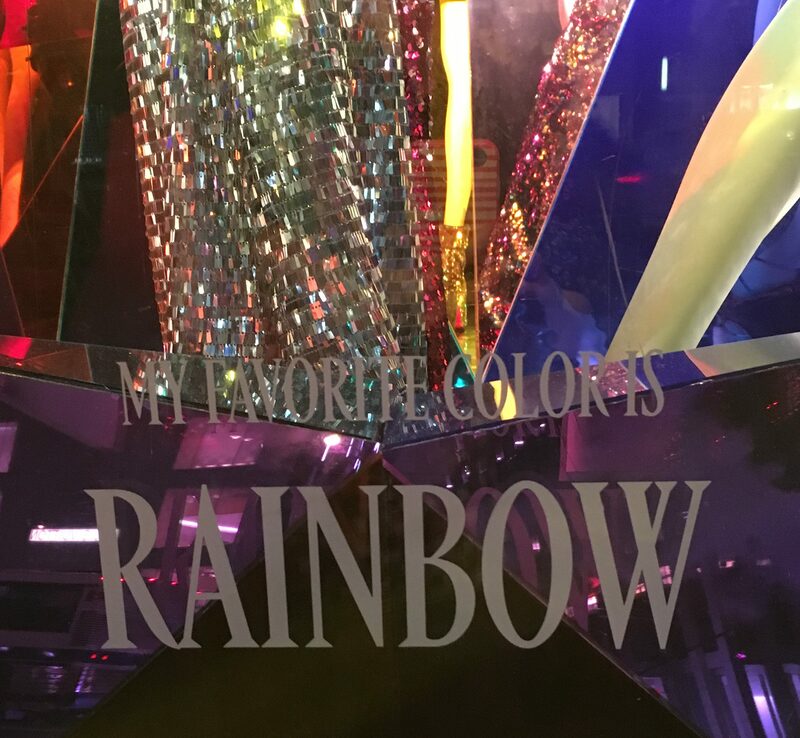 If you can’t make it to Bergdorf Goodman (located at 754 5th Avenue (at 58th Street), New York, NY 10019 you can buy the book (which has a publication date of October 24, 2017) at This Link! 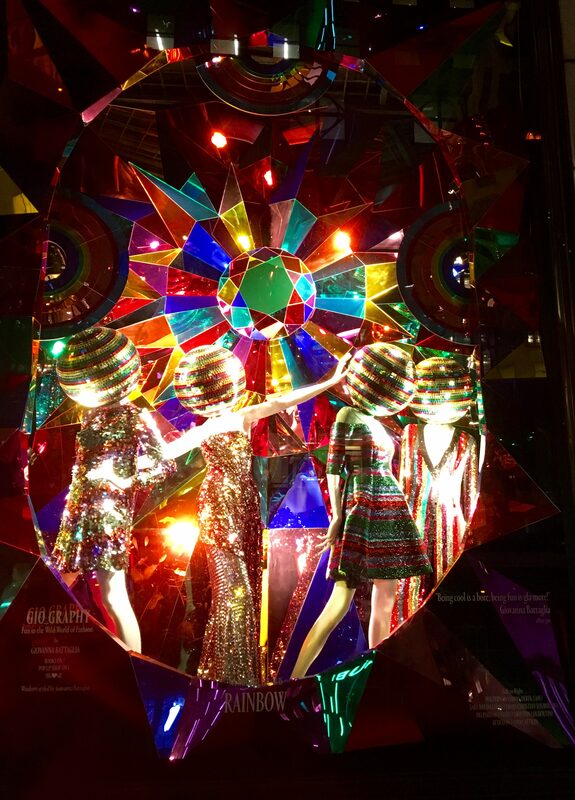 One of these mannequins could be YOU !